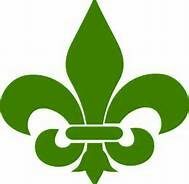 Oakland Raiders fans - Meet the Shreveport Swamp Dragons! - Swampswami.com - Sports Commentary and more! 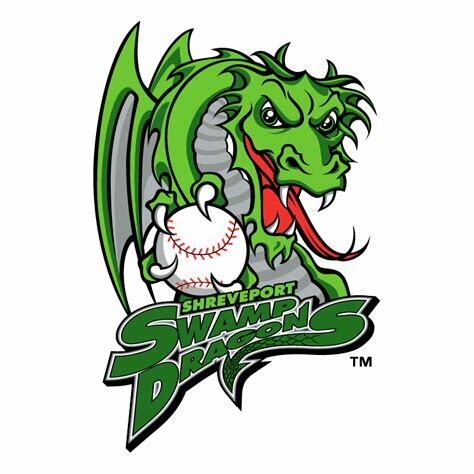 Oakland Raiders fans – Meet the Shreveport Swamp Dragons! The Oakland Raiders of the National Football League have brought this onto themselves. After being embarrassed 34-3 on Thursday night by their Bay Area rivals, San Francisco, the Ray-Duhs have officially been exposed. This franchise could care less about Oakland anymore. The moves of the past season are all becoming clear to everyone now. This team is willing to do just about anything it can to turn the city of Oakland against them in order to move to Las Vegas with a clear conscience. a. Hired a man who hasn’t coached professional football for nine years (Jon Gruden) to lead the team. I still can’t tell whether Gruden is simply in over his head or is quietly chuckling while assisting in the destruction of the franchise this season in Oakland. b. Traded away their best player (Khalil Mack, a defensive end) earlier this season for future draft picks (Viva Las Vegas!). c. Traded away a former first round wide receiver (Amari Cooper) to the Dallas Cowboys a few weeks ago. d. May or may not be trading their starting quarterback (Derek Carr) soon, too. e. Is now 1-7 and obviously working their way up the draft boards for next spring by intentionally “tanking” this season. Your sympathetic SwampSwami can identify with the dreary feelings being experienced by Raiders fans in Oakland. When I was growing up in Shreveport, Louisiana, we had a Class AA minor league baseball team in the Texas League for over thirty years. Locally operated by a family-oriented sporting goods store owner, Shreveport Captains baseball attendance soared when the team opened a new stadium in the mid-1980’s. Unfortunately, times change, and attendance began to decline annually through the 1990’s. The ownership finally capitulated and sold the team in 2001 to Mandalay Entertainment. The flashy new owners (at the time, they owned casinos and other resort properties) failed to tell the locals that they were already planning to move the team to Frisco, Texas (a northern suburb of Dallas) once a stadium could be completed there. Instead, the ownership immediately changed the team’s nickname from “Captains” to “Swamp Dragons”. The previous nickname was selected to honor the city’s namesake. Captain Henry Miller Shreve was a riverboat captain who helped to clear a massive 150-mile log jam in the Red River of north Louisiana in the 1839. Did ownership hold a contest to get local involvement to help select a new team nickname? Nope. The majority of local fans were embarrassed by the team’s odd new nickname and equally bizarre new team logo (see above). Seventeen years later, the nickname and logo still seem strange to me. The team then proceeded to raise ticket prices across the board, including for the local military. The previous owners had provided discounts to the military from nearby Barksdale Air Force Base to honor their service to our country. The new owners? No way! If the new owners were trying to win over the public to come to the games, they did a superb job of just the opposite. Local baseball fans in Shreveport responded to these odd shenanigans by staying away in droves. Attendance dove well under 1,000 fans per game for the next two years. Unbeknownst to the local fans, the new ownership had successfully accomplished their goal! By the time it became “official” that the new ownership was moving the baseball team to Frisco, Texas (where they became the Frisco Rough Riders), Shreveport area baseball fans barely noticed. In fact, many of us would have helped to pack the trucks to help them leave town. The team’s ownership had successfully alienated nearly everyone in the city. A beloved local sports franchise had been destroyed right before our eyes. I see the same thing happening (on a much larger scale) to the Raiders football fans in Oakland right now. While the Raiders’ ownership eyes a pending move to a new venue in Las Vegas, the team is quite obviously “tanking” to obtain a line-up of new young players to go with its fresh start in Las Vegas. With mounting disgust and tension this season, things could turn downright ugly if this team remains in Oakland for one final season. The NFL might want to consider temporarily sending the team to London (or, perhaps, an outdoor football venue in Las Vegas) for the next season. As we eventually learned in Shreveport, Oakland fans now realize that they are being “played” for fools by the team’s ownership. It may be time to pack the trucks in Oakland by the end of this season’s debacle. The team may get plenty of offers to help by the end of the year. ← LSU and UCF – The sports media says you have NO chance!